Learn how to set up a custom domain using a CNAME. First, you would need an Enterprise (previously known as Elite) Flipsnack subscription. 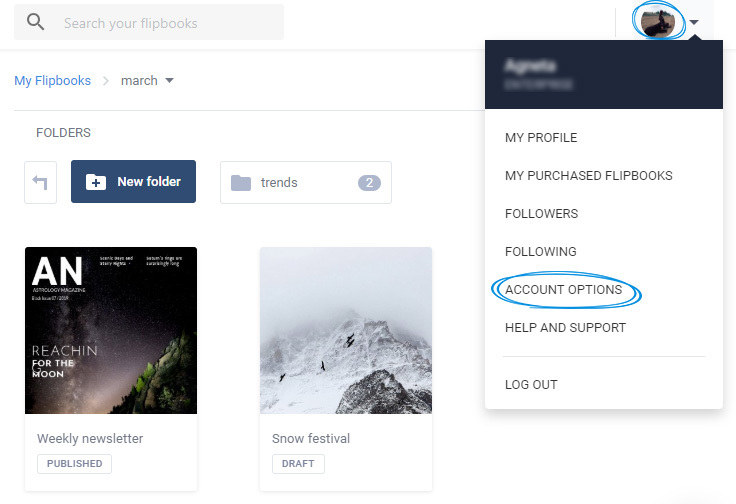 After you have purchased it, you will have to go to Account options. 2. 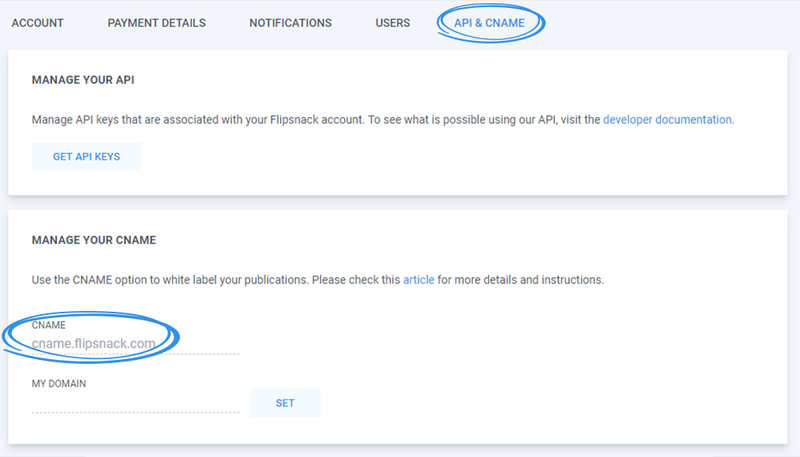 Click on API & CNAME and copy the Flipsnack CNAME (cname.flipsnack.com). 3. 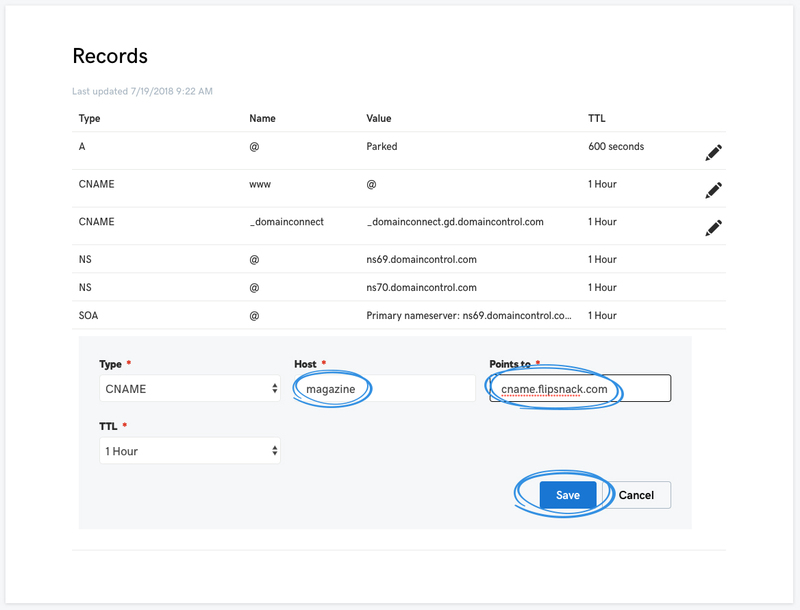 Visit the DNS settings from your domain registrar (The website that sold and allowed you to register your current website address) and create a CNAME record for your subdomain (e.g. magazine.whtmagzine.me) and point it to cname.flipsnack.com. Important: the screenshot above is from the domain registrar GoDaddy. Check out this article to learn how to set up your CNAME with GoDaddy. 4. 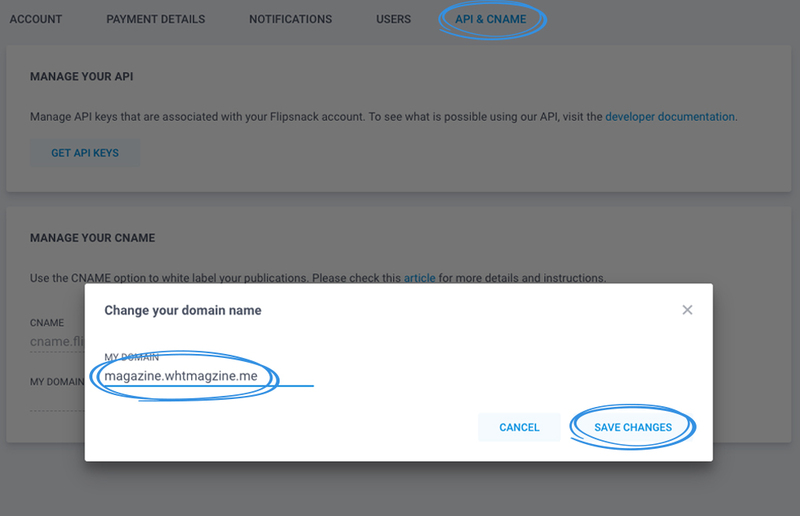 Return to Flipsnack and from the API & CNAME tab from Account options, enter your website’s subdomain (under Hostname) where you chose to display your flipbooks. You might have to wait for a couple hours before your subdomain works as it should, so don’t panic if it doesn’t work instantly. If you want to secure your subdomain (SSL), please contact us.